If you ever wanted to update how what users see when they Google your brand name to get the latest news you're in luck. Google has rolled out a new platform that seeks to fulfil just that. Google Posts is a feature that allows people and businesses to create content directly on Google which appears highly ranked in Google search results for their names aka brand searches/branded terms. We also think this is due to Google and Twitter not being the best of friends as of late but that's simply office banter. Posting on Google Posts will be a new way to share relevant, fresh content with the people who are searching for you. Google Posts will allow businesses, celebrities and brands to use images, videos and even animated GIFs to engage audiences as well as add inline links to drive traffic to specific content. This enhanced format allows searchers to hear directly from the primary source — you — and complements existing results from across the web. Who can use Google Posts? Google's initial trial has been opened up to museums, sports teams, sports leagues, and movies in the US, and all of the above plus musicians in Brazil. How to use Google post? Google has promised that its new platform will be fast and easy to publish text, images, videos and events, which show up instantly in search results on both desktop and mobile. They have also gone on record to say that scheduling the timing and duration of a post will be available and you’ll even get updates on how many people see and interact with your content. Finally, you’ll have to fill out an application and wait for Google respond via email within a week of the application with a status update. Note! This feature is currently only available to brands and businesses based in the US and Brazil. To verify your access and use Google Posts you can start the process by filling in a simple form here. Google says it's continuing to experiment with other categories and regions, so expect Google Posts to be rolled out to more entities in the future and we will keep you updated as new categories are launched so stay tuned to our blog. Google Posts will allow users to become to customise the search experience for brand terms, help dominate SERPs for brand related searches and improve brand related click through. It will also serve as a way to improve deep linking from SERP as well as provide quick indexation and better content experimentation for organic search marketers While it could also drove a decline in click-through rates for competitors bidding on your brand if you're an AdWords man. 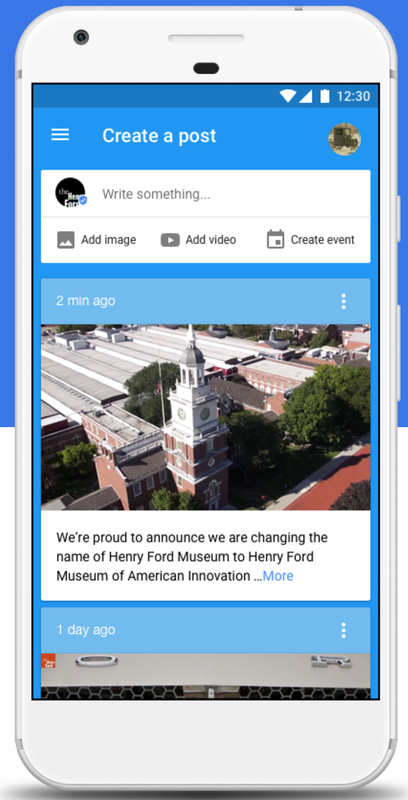 So what do you think of Google Posts? Are you excited about using the platform? Would it be something you would use? Let us know in the comments section below.